The Alberta Business Hall of Fame - Southern Alberta recognizes the lifetime achievements of southern Alberta’s most distinguished citizens. Its inductees have helped shape our province through their business success, entrepreneurial spirit and philanthropic contributions. They are role models for our society. 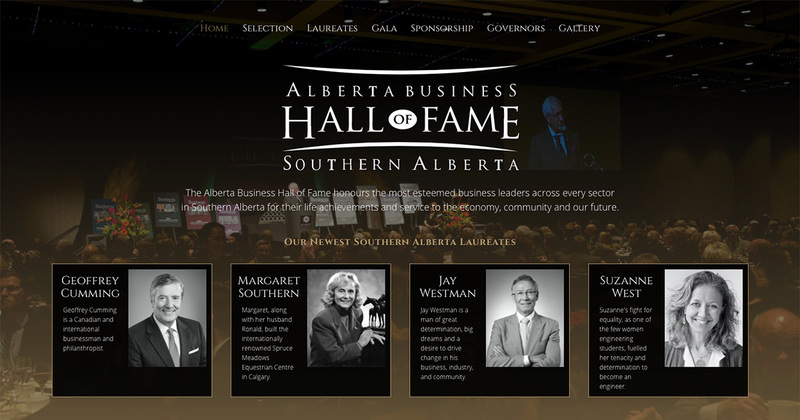 The Alberta Business Hall of Fame - Southern Alberta was established by JA Southern Alberta (JASA) in 2004. Inductees are nominated by their peers and selected by an independent committee. Korn Ferry oversees the inductee nomination process and selection committee, in partnership with JASA.